Penfolds has taken the top spot from Spanish producer Torres who has fallen to second, while New Zealand’s Villa Maria has risen five places to complete the podium in third. Now in its ninth year, The World’s Most Admired Wine Brands has partnered with global wine market research company Wine Intelligence, who contributes to the voting system along with Drinks International’s global Academy of wine experts. 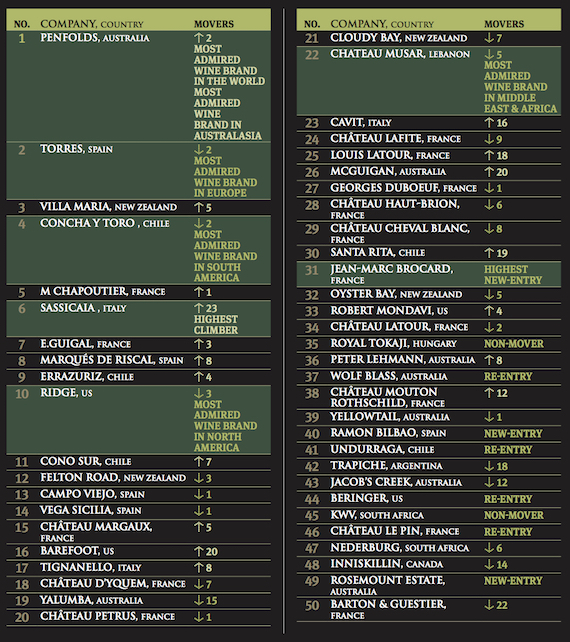 Sassicaia of Italy was named the highest climber in 2019, having risen 23 places to sixth and French producer Jean-Marc Brocard is this year’s highest new entry, sitting 31st in the list. Chile’s Concha Y Toro was also revealed as Most Admired Wine Brand in South America, while Chateau Musar of Lebanon received the same award for the Middle East and Africa. Meanwhile US producer Ridge took the trophy for Most Admired Wine Brand in North America and of course Torres and Penfolds received the same awards for Europe and Australasia respectively. 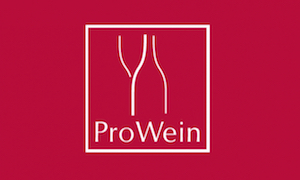 On Sunday 17 March Drinks International hosted the first awards ceremony for The World’s Most Admired Wine Brands at Prowein, Dussledorf where representatives from the 50 selected brands were invited to attend.